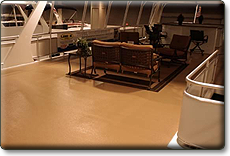 LINE-X® industrial coatings provide safe, anti-slip surfaces for any work environment, whether it is in a rural agricultural setting or on the factory floor. 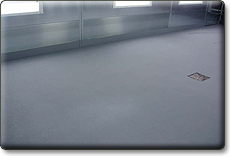 Application areas include concrete floorings, stairwells, ramps, catwalks and other elevated structures. These anti-skid surfaces have been shown to reduce employee injuries from slips and falls, and can also help reduce injuries among valuable livestock. 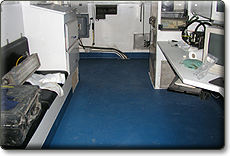 In addition, the sound deadening and vibration damping characteristics of a LINE-X industrial coatings application on machinery, walls and other structures can provide a quieter work environment throughout many large manufacturing operations. 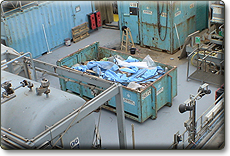 In many cases, decibel reduction can greatly impact the productivity in many types of industries.